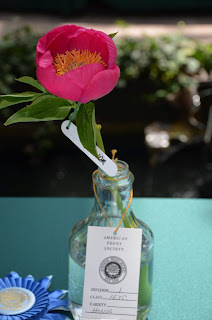 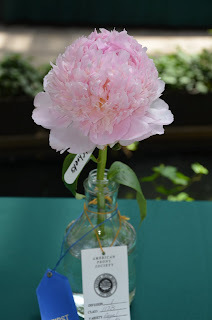 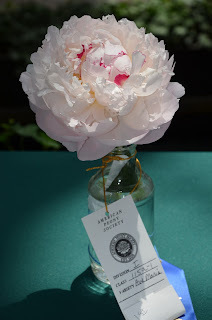 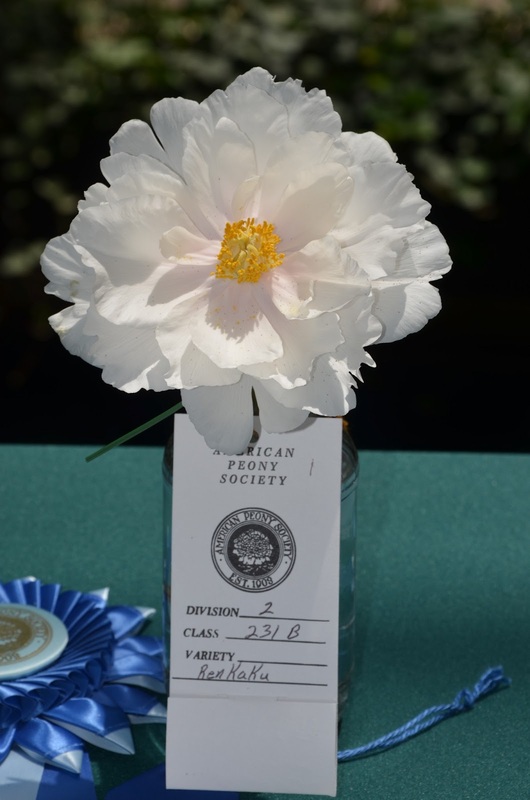 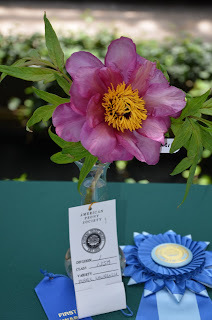 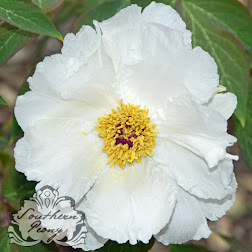 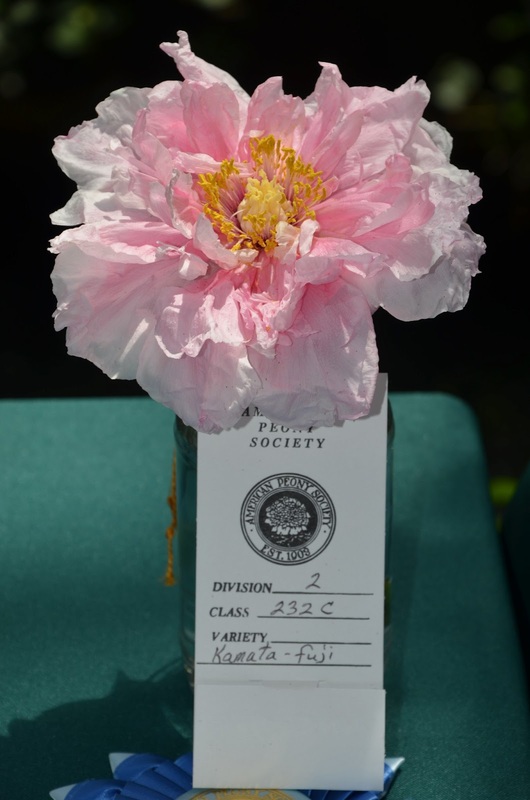 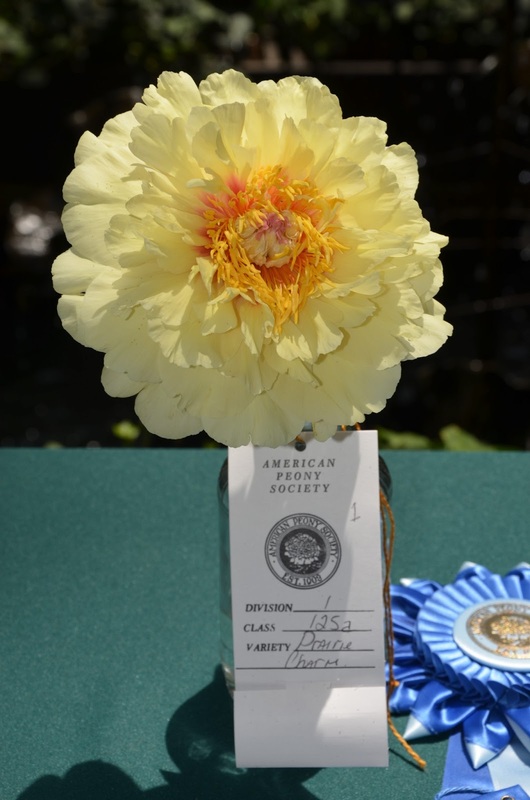 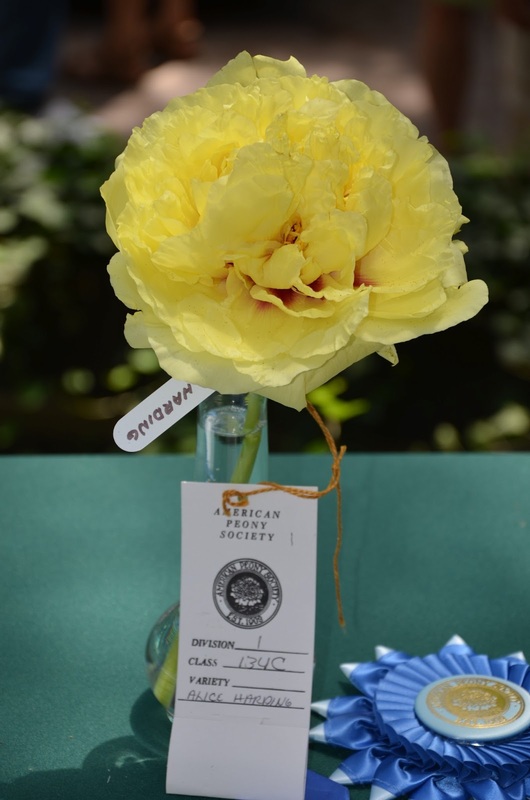 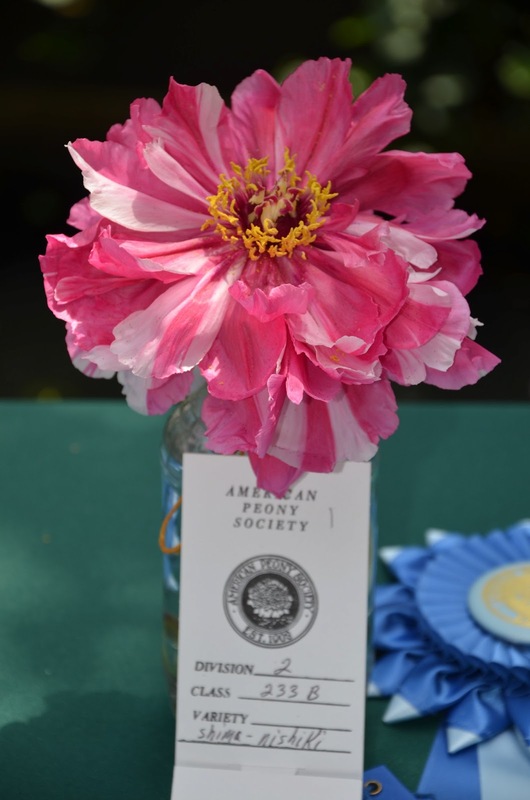 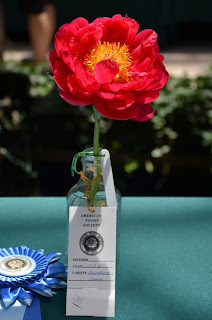 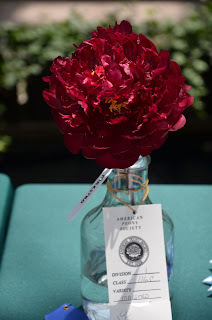 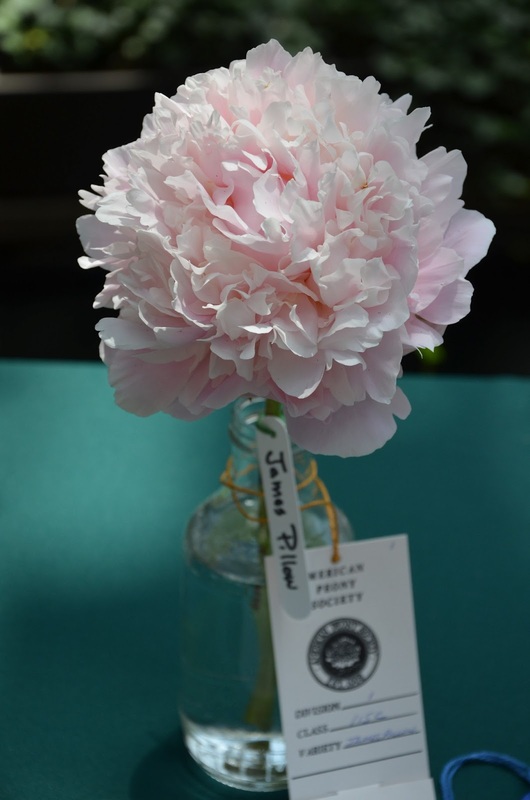 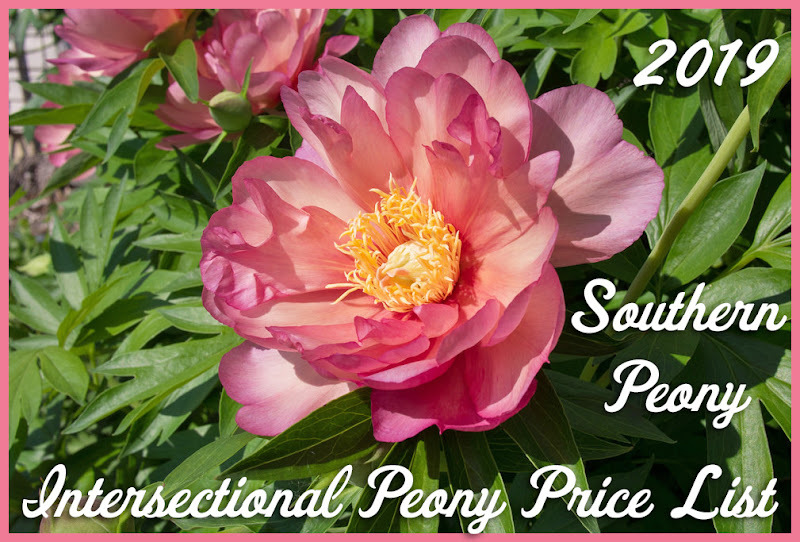 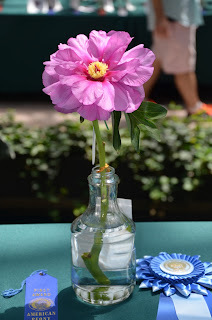 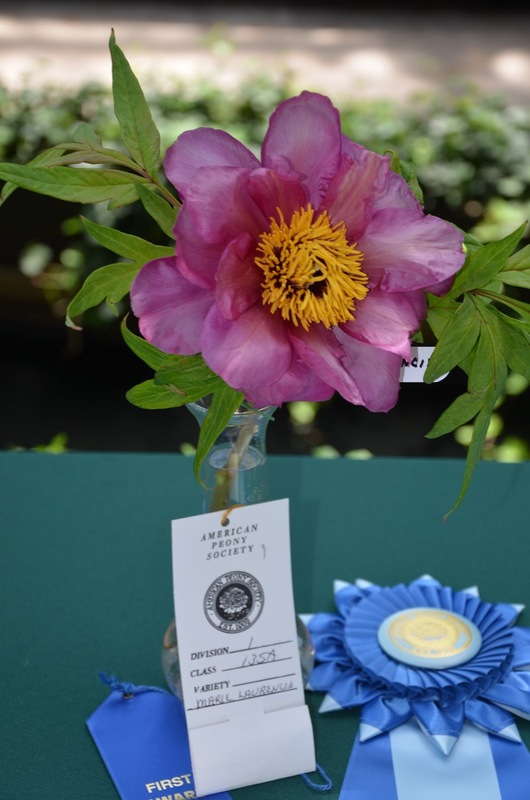 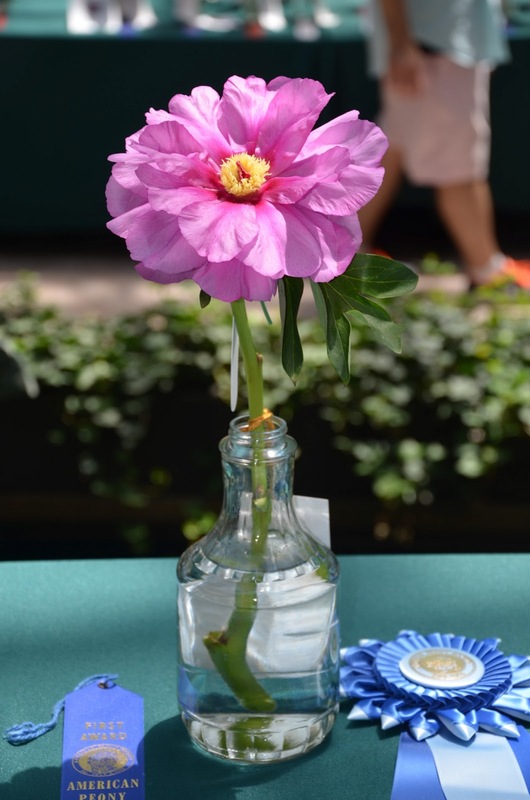 This year was a challenging one for the American Peony Society's flower show. 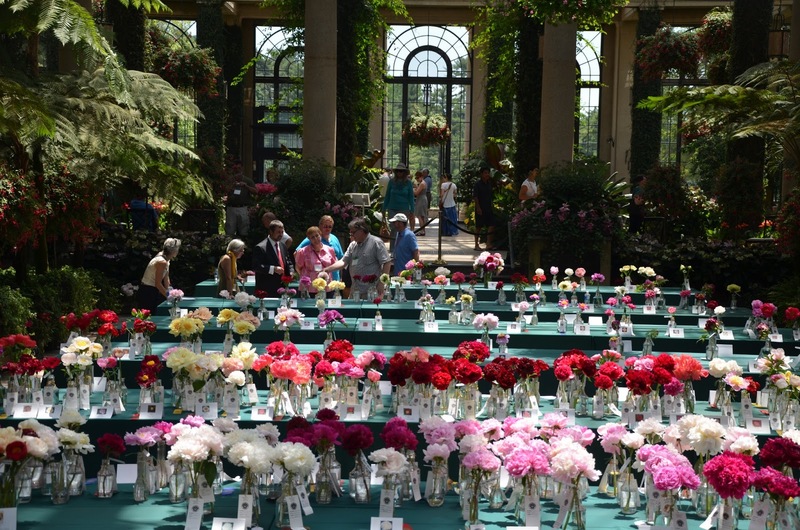 The climate of a conservatory is definitely warmer than an air conditioned hotel ballroom. So the added heat and humidity was quite a strain on the 2013 APS show flowers. 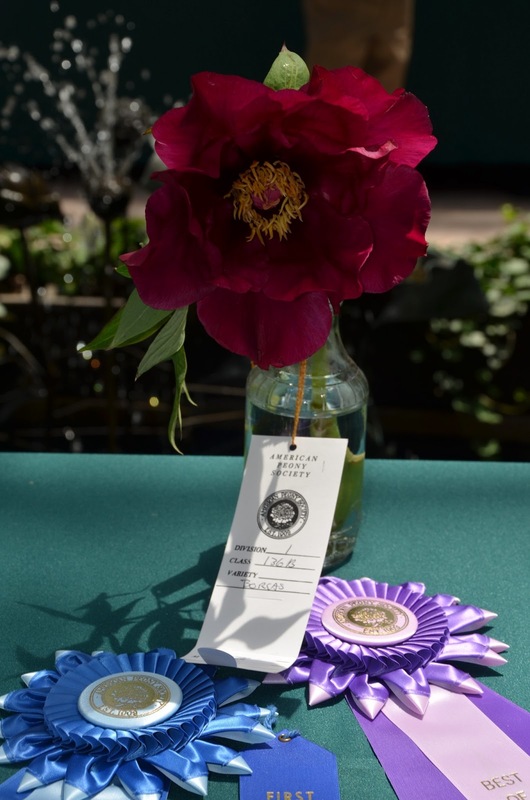 This was my first year participating as a judge for the show, and I learned immensely. We even had a member of the Longwood Gardens staff as a guest judge on our team. 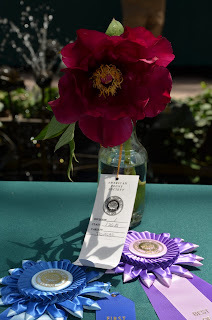 It was nice to get an outside perspective on the judging and also get some insight into how other national clubs judge their shows.